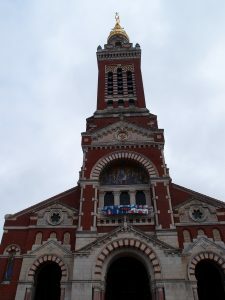 This post on Notre Dame de Brebières in Albert is part of a series on the Great War sites of France and Belgium. I have a confession: I’m not a traveller who suffers from Church Fatigue. 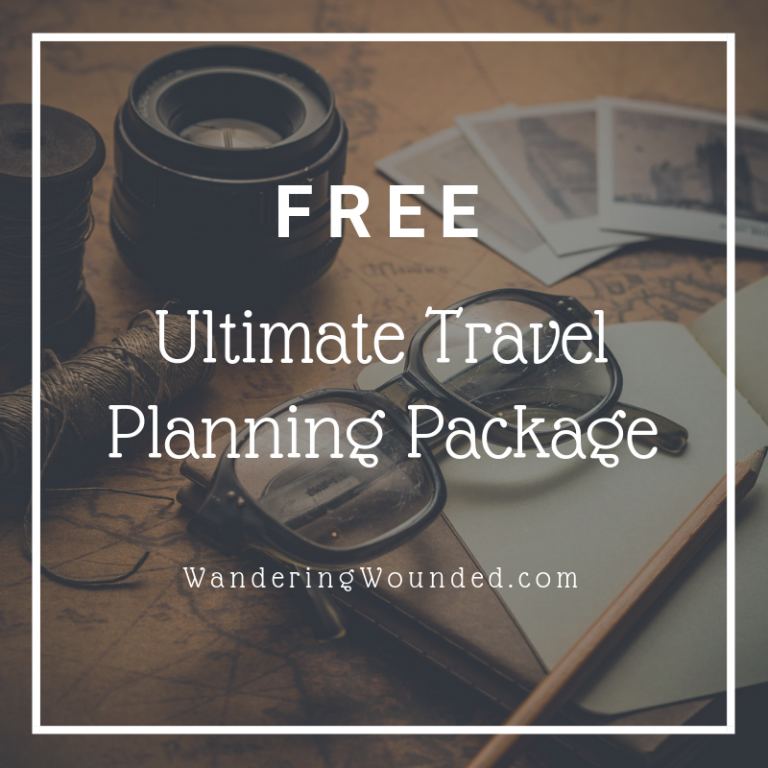 I know that on trips to Germany or Italy, for example, many travellers have reported that the urge to go into every church to see what there is to see leads to a kind of church blindness, where the mosaics and renaissance frescoes and candles all begin to blur. Meanwhile, I can’t get enough. 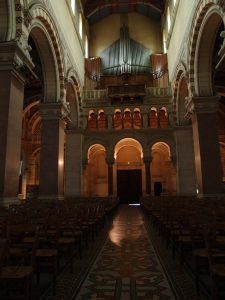 There’s something about the structure of a church that leads to a strange freedom; you can learn to “read” a church and the basic layout may not change much, but contained within that architectural grammar are a thousand new ideas every time. The common shape lets a visitor move through this familiar place and leads you right to the unique aspects. The twentieth and twenty-first century church is surprisingly distinct from its architectural contemporaries. I think it is the light; a good architect gets light into a building, and this can be an obsession in many recent buildings. A great architect can manage and manipulate that light to perfection. The cruciform traditional church demands a balance of light and shade that elevates the work of its artists and artisans. Gaudí put it well when he expressed this principle most eloquently of all in his Sagrada Familia. 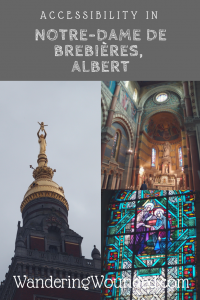 Albert’s basilica of Notre Dame de Brebières comes from the same era and it became one of my favourite churches within minutes. Let me show you why. In June, when I visited, the facade of the basilica hosted a digital display board counting the days of German occupation one hundred years ago from the current day. 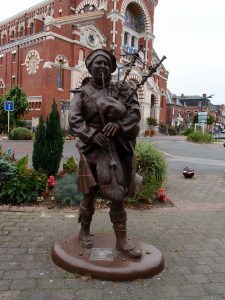 Albert was occupied by Germans, along with much of this area as the front moved back and forth across the Somme valley. 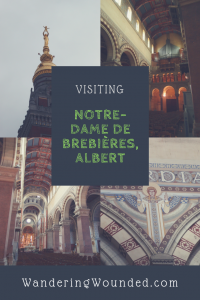 Edmond Duthoit designed this basilica with Byzantine influences in the late nineteenth century. It was finished only a few years before war broke out. 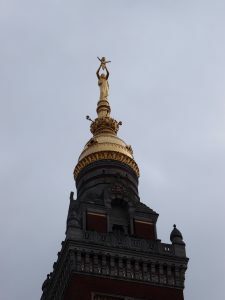 Crowning the whole building is the Golden Madonna, an impressive statue who stands 70 metres above the ground. She clutches the baby Jesus and holds him aloft; all the more impressive as he is taller than I am at around two metres. The Golden Madonna atop the spire became the focus of an enduring Great War legend. Designed by sculptor Albert Roze, it was dislodged early in the war when the tower was shelled, but instead of falling to the ground, she was suspended horizontally, parallel to the ground. The legend was that when the Madonna fell, the war would be over. She almost made it to the end of the war. The Leaning Virgin clung on throughout the war, clinging to baby Jesus, until British forces destroyed the tower. During the German occupation of 1918 the Allies considered it too valuable a lookout post to leave standing. 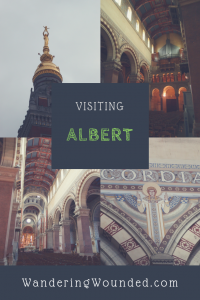 Inside the cathedral, you will find a carving of a French soldier who, mortally wounded, asked to be turned to face Albert to gaze on the Golden Madonna one more time. You can see pictures of the Madonna clinging on if you click here. 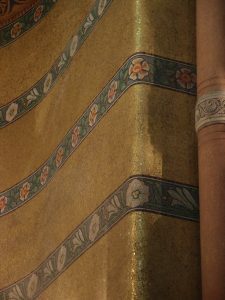 The exterior announces the neo-Byzantine influences. 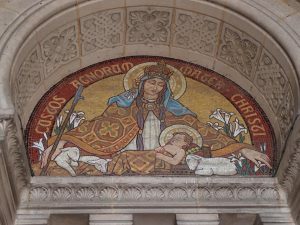 In the porch, if you pause to look up and around you will see the mosaic representations of Jesus, Mary and Joseph above the main doors. Each section of the ceiling has its own intricate motif. 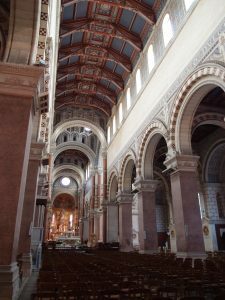 The structure of the interior reminded me of the Pisan-Romanesque Santa Maria in Pisa, though without the characteristic stripes of black and white marble. Instead of that unity of style, there are a variety of different colours, patterns and materials. 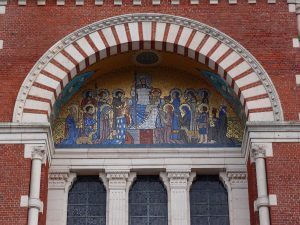 Around the altar, golden mosaics blur the lines between Byzantine icon – where the gold was supposed to catch the light and lend mystery to the saintly figures – and Art Deco design. 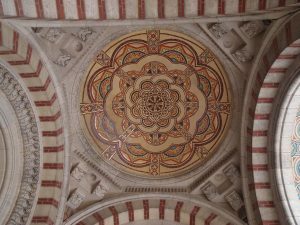 The curved corners and arts and crafts motifs show the variety of artistic schools at play in architecture and decor through the whole period of the basilica’s development, building and repair. The rebuilding work of post-war France was meticulous and impressive. Here, however, they did not merely recreate but reimagine. 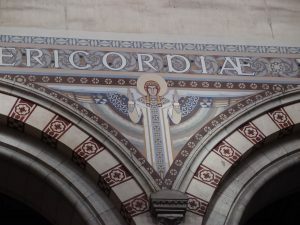 In such a recent building, it was a bold move, but the Art Deco influence is writ large between the Romanesque arches where church art meets interior design and high fashion. The clash of styles may seem challenging, but after all it is merely the way churches have been built for centuries. Over only a few decades this basilica captured the mediaeval cathedral method – taking the best of contemporaneous style and technical ability and solidifying it as frozen music that tells the story of twentieth century Albert. 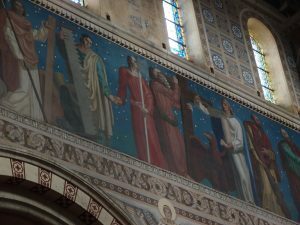 The basilica is largely accessible for most with help. 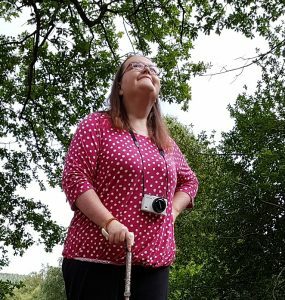 There was a wooden ramp into the church when we visited, but reading reviews from other travellers this is either recent or rare. Two steps lead up to the porch and a further threshold to step over to get into the sanctuary. There are four steps up to the area around the altar at the far end but the main parts of the church are level. The floor surface is level and seating consists of movable chairs. There’s no dedicated parking for the basilica but there is ample free parking around the main square. The square is well surfaced with lowered pavements, so there should be no issues for most people getting close to the statues.